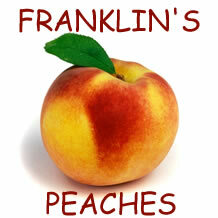 Say goodbye to summer and hello to fall by checking out Franklin's Peaches and Friends at Playhouse on Park! We are kicking off their seventh season with a laugh with a night of improv on Friday, September 11th at 8 pm. Franklin's Peaches, renowned for their confident, high-energy style, will be joined by some of Hartford's best improv artists for a one night only performance.